I've been asked recently to create a giant Steve from the indie game Minecraft using papercraft. This large printable template when created will stand just shy of one foot tall, about 11 inches. 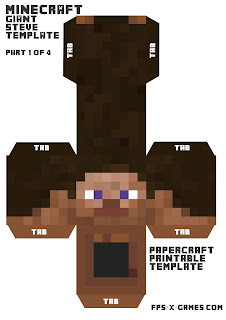 The Steve papercraft template is that big it had to be spread over four sheets of A4 paper. 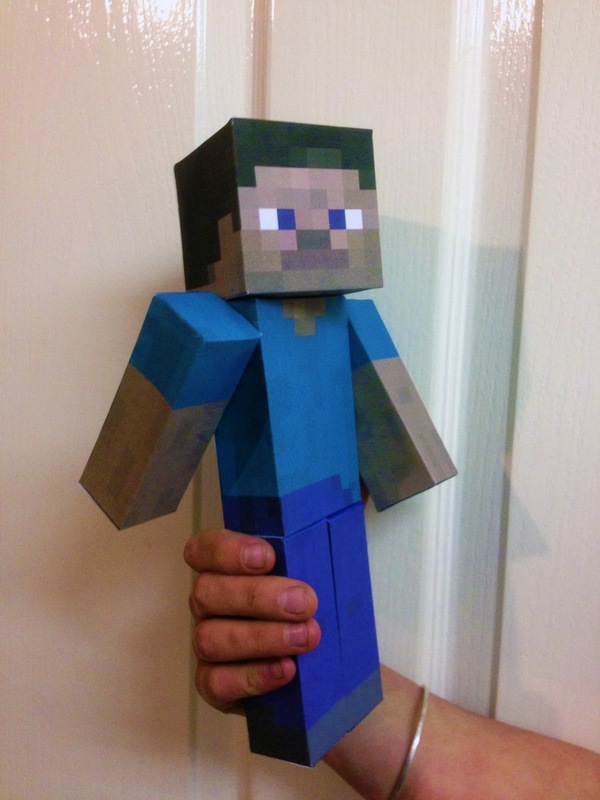 Like in the game Minecraft the character Steve is made up of six body parts, legs, arms, torso and head. The paper model is very easy to put together. 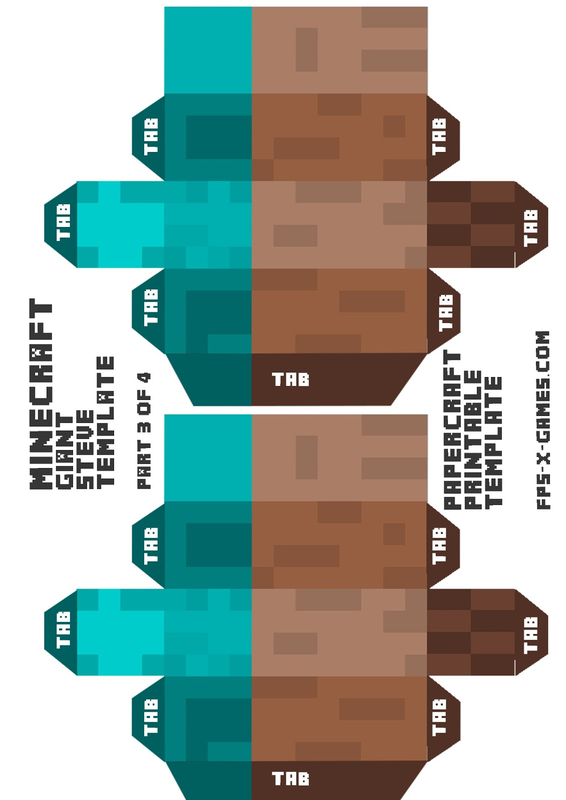 Right click and save the template images as, print out the Minecraft Steve paper model template. Its a good idea to use card when printing, I used A4 160 gsm card. Carefully cut around Steve body parts. 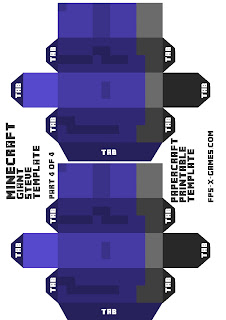 DO NOT cut off the tabs on the sides of the Minecraft Steve templates, they are important! 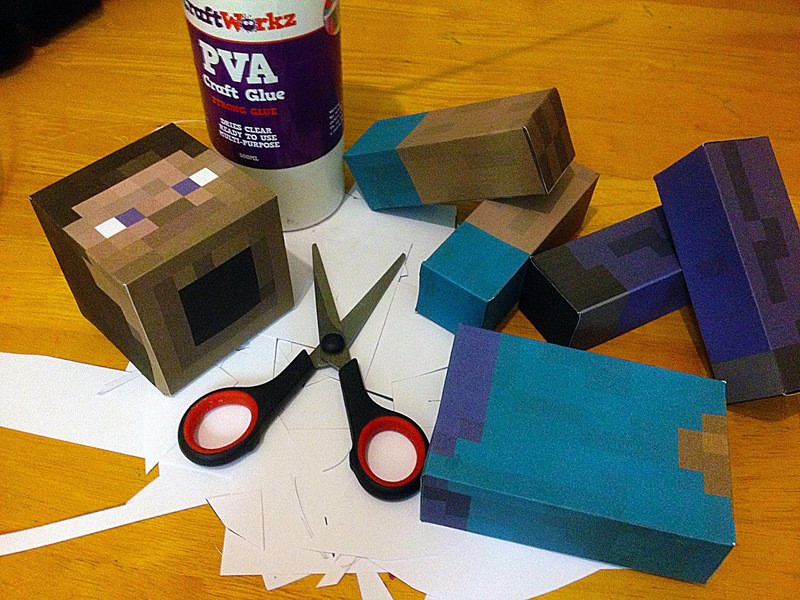 Fold all corners of your papercraft Steve. Tabs should always be folded inwards. 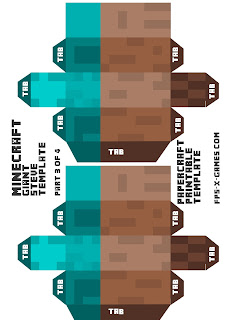 Glue or tape your Minecraft Steve cut-out tabs together. Giant Minecraft Steve by Steven Bear is licensed under a Creative Commons Attribution-NonCommercial 3.0 Unported License. Permissions beyond the scope of this license may be available at http://www.fps-x-games.com. you need to make loads more of these, im going crazy for them! OMG SO GOOD I USED THESE FOR MY KIDS BDAY!! THANK U! Each template is A4 and needs to be printed out with the same setting. More information on paper size http://www.a4papersize.org. Can you make a giant ghast next? PLEASE. Sure I can sort that out. The images you uploaded are too small. They are a little over 3x4. Do you have the larger size you can reload? I'm using them for my son's birthday party! Thank you!!!!!!!!!!! Have you left click the images then right click to save full size? Hi!! Do you anything for enderman? My son's birthday is next week? Hey, I only have the Enderman head/mask that I'm sure your son would love. Also the large Enderman character model is on the "to do list" so I'll see if I could get that done in the next couple of days! It looks like Steve really does. Hi do you know if you can make a giant zombie pigman? I sure can. watch this space! Hi, yeah cool i'll do the axe collection next, also I'll do a large ASFJerome character in a different post. 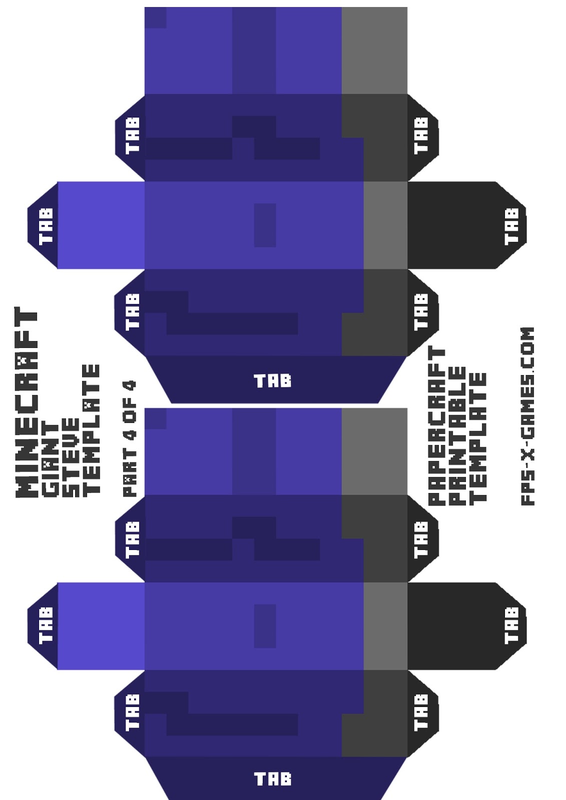 Did you use the diamond sword template found here, did you build it ok? If you're making ASFJerome, can you also make his best friend BajanCanadian please? Can you also make a BajanCanadian large character please?